Edible Arrangements® delicious fruit designs are filled with fresh strawberries, pineapple, grapes, oranges, cantaloupe, honeydew, bananas and pears. Arrangements are guaranteed fresh and are available in a variety of styles and sizes. They are perfect for any occasion from happy birthday, thank you, congratulations and sympathy to business events, client gifts and employee appreciation. Each arrangement is made to order. All ingredients are natural, no preservatives or sweeteners are used. Edible Arrangements® also has the best dipped fruit period. Try our strawberries, pineapple, granny smith apples or bananas (just to name a few) hand dipped in gourmet chocolate. 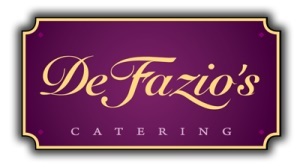 Defazio’s Catering is a well-known, reputable food service company located in Richmond, Virginia. The owner, Joe DeFazio, began his career in the food industry with DeFazio’s Church Hill Restaurant and, later, DeFazio’s of Innsbrook before venturing to the catering world. We have catered for the PGA, NASCAR, movie companies, television stations and Colonial Downs - to name a few. Our specialties include weddings, graduations and company and social events. We also offer cooking classes that serves as a great team building exercise. 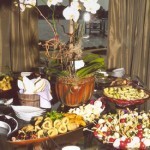 We are a full service catering company. 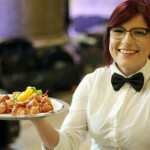 All of our menus and events are custom crafted. Please allow us to meet with you and discuss your event.